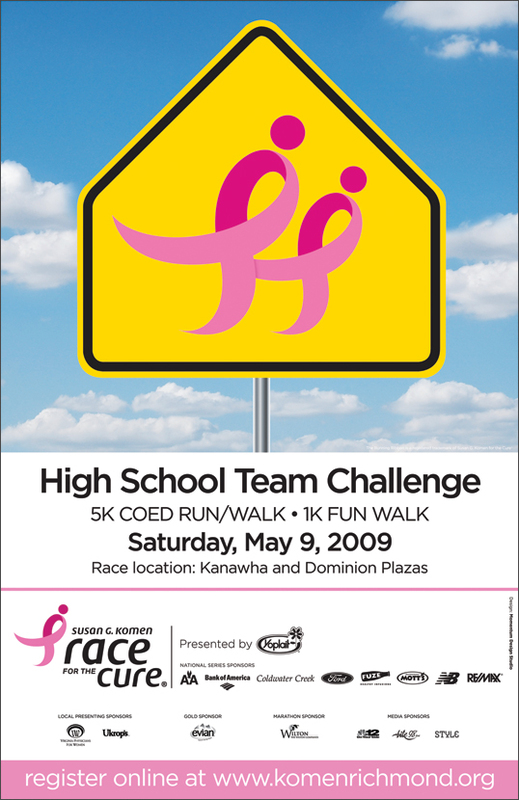 Project Details: We created this poster for the Susan G. Komen foundation to help support their High School Team Challenge event. The event was a coed run/walk and was targeted towards high school age kids. After considering many different designs, we felt that this one hit the nail on the head. It was simple, smart and communicated the message effectively.